Cisco Meraki access points are built from the highest grade components and carefully optimized for a seamless user experience. The outcome: faster connections, greater user capacity, more coverage, and fewer support calls. Cisco Meraki cloud managed IT provides centralized management, visibility, and control without the cost and complexity of controller appliances or overlay management software. Cisco Meraki deploys quickly and easily, without time-consuming training or proprietary command line interfaces. 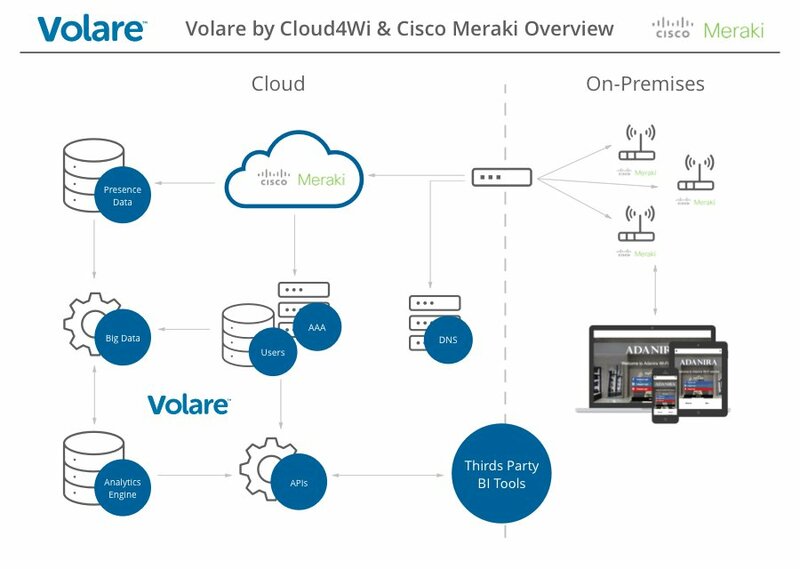 What can an integrated Cloud4Wi and Cisco Meraki WiFi solution offer? Together, Cloud4Wi and Cisco Meraki provide a powerful guest WiFi solution that works to deliver superior on-site experiences to customers, while giving businesses the opportunity to boost their on-site revenue. Want to discover more on how Cloud4Wi and Cisco Meraki can boost your business?